Ever wondered what a day in the life of a Master Perfumer would be like? We followed Bertrand Duchaufour to explore fragrance, meaning and how he fell in love with perfumery. 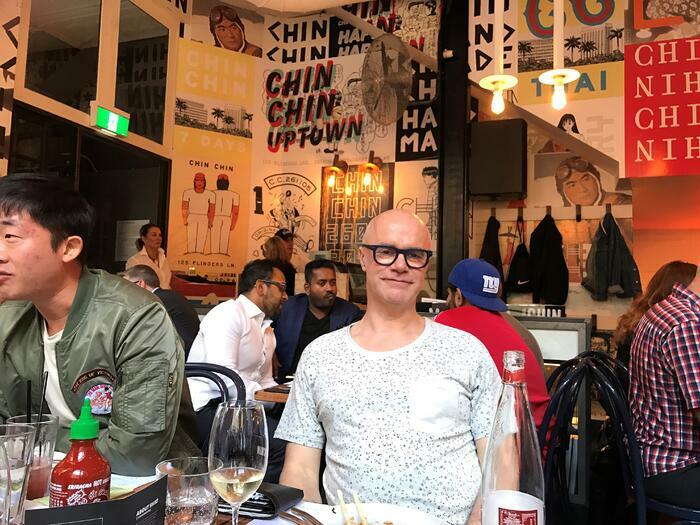 In the bustling dining room of Melbourne's Chin Chin, perfumer Bertrand Duchaufour inhales. While the scent of caramelised beef and star anise swirl thick in the air, he is picking up on something different altogether. "Lime. I smell lime. And coconut," he says in a light French accent. As he talks, his passion for perfumery is clear; candid and creative, his ideas unfold with each breath. "I suppose I first found fragrance when I fell in love with my girlfriend's perfume - Chanel dix-neuf (19)," he says with a laugh. "I didn't know you could do such a thing, that somebody made these fragrances. And I guess that is why I became a perfumer. Since then, fragrances have taken me on so many adventures - like this one!" 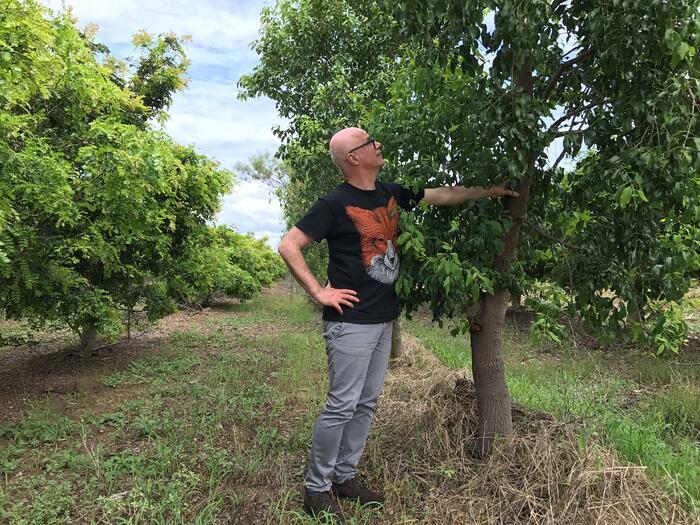 He’s talking about his recent visit to Queensland – one of the most genetically biodiverse and visually stunning regions of our planet – where Quintis grows Sandalwood Album. With his refined nose, it’s no wonder Bertrand is considering the dish before him with a deep appreciation – it’s been proven that scent contributes up to 80% of what we taste. As we stare at the plate of coriander, basil and kingfish, I ask him what role ingredients play when he creates a fragrance. Perfumes have the ability to transform, he explains. When a perfumer selects an ingredient like Sandalwood Album, it is more significant than its functional purpose – like being a powerful fixative that allows a perfume to stay longer on the skin – or even its revered woody scent. Perhaps most importantly, it creates an emotional response. "Sandalwood Album is a link between heaven and earth,” he says. “It adds a spirituality, a groundedness, and is the base note of a fragrance." As he rests his fork on the table, he declares: "Sandalwood Album is the soul of the scent." Sandalwood Album is the soul of the scent. 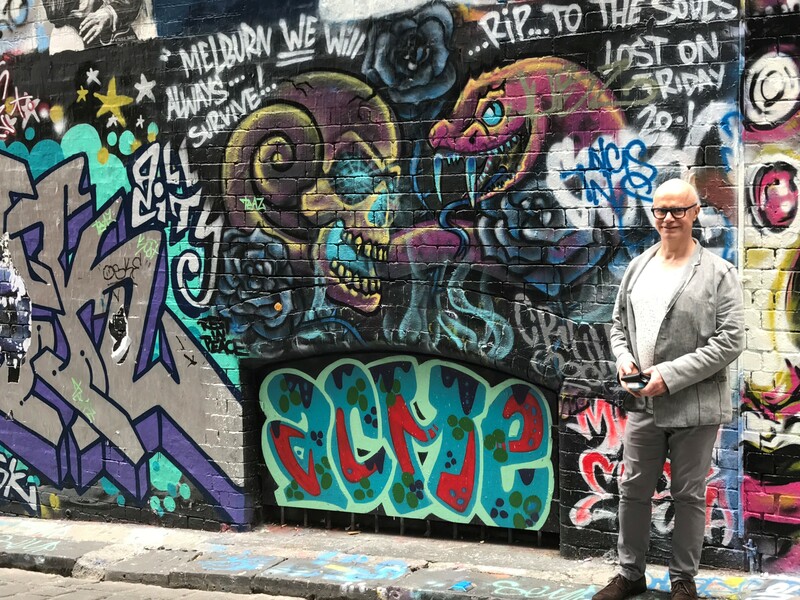 Hours later, framed by the chaos of street art in a Melbourne laneway, Bertrand thoughtfully considers the scene. After a day of eating and exploration, people-watching to the sound of buskers' guitars, his summation is simple: "Fragrance doesn't happen in a bubble,” he says. “Fragrance is an experience.” I glance around as he gestures to the polished businessman with a driven glaze and steely cologne. The sweet fruity waft as students laugh and jostle down the street. The signature vanilla aroma that oozes from the shop door beside us. All around us, scent shapes our lives, and influences our perceptions, letting us experience it on an almost visceral level. "This is known as synesthesia – the place where colour, fragrance and sound meet," he says. For Bertrand, synesthesia is the simultaneous experience of senses like smell and sight. When our senses collide, our strongest memories and emotions are sparked. Unlike cognitive thought, scent is processed first in the olfactory bulb, then in the brain’s limbic system (the home of emotions and learning) where it acts as a bookmark for our memories and meaning. When we smell a scent, it evokes memories and triggers emotions - reportedly stimulating up to 75% of the emotions we feel each day. I think back to my childhood, to my earliest memory: playing as my mother fried onions, garlic and herbs. Years later, and lifetimes from that small child, the aroma still transports me, and gives me a sense of comfort little else can. Such is the power of scent. “I’d love to explore these ideas more, the experience of fragrance, and meaning,” he says. And hopefully, we will. Join us as we explore new frontiers in fragrance with Perfumer Bertrand Duchaufour.